It’s been “a long time” with no news which is one of the greatest feats of the ESA (European Space Agency) to send a probe to the Churyumov-Gerasimenko. 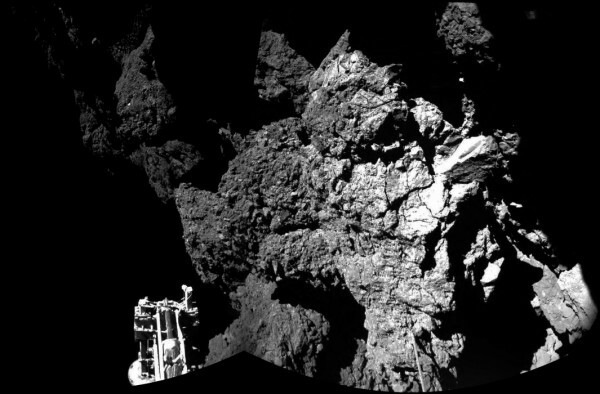 Exactly, that comet named crappy Russian, called C67 / P.
In the picture, taken by Philae, he is one of its legs (with harpoons) who helped make this, after bouncing a few times, take notice of the comet. This mission discovered many important things for science. One is that comets are not ice, and make the news, but they are just grains of sand together by gravity and different sizes. Let it ride on a comet is like walking on the sandy beach at low gravity. It has also helped us to know the composition of comets (carbonaceous chondrites, a union of potassium, silicon, sodium and calcium), knowing that as they approach the Sun that out is water vapor inside (its core). And when given much light (c’mon, heat) are fragmented. Besides helping us to know the composition of these jets and the physics underlying them. Indeed, the evolution of the shape of the kite depends on the materials and energy fractures received. Something that is logical (I thought so) but it has to be checked (the theory is, it is found in practice to know that the equations are correct and performs well). Another thing that has helped the mission is to observe the magnetic field of a comet and how it interacts with the solar wind. 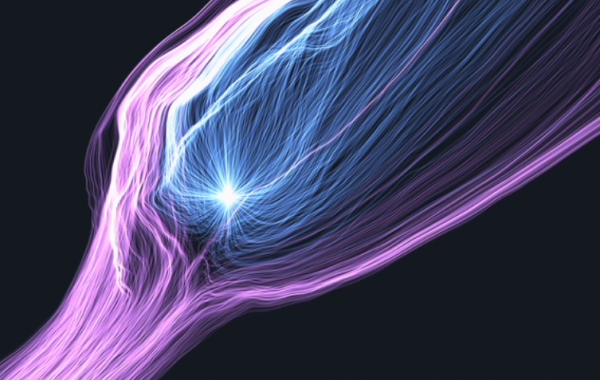 As the electrons, ultraviolet radiation, get horny comet materials (molecules) by moving electrons and causing them to glow things (cool, huh?). I, from here, I always recommend going to the source to learn and understand the universe around you.